For in-store inquiries, use sku #2378031. 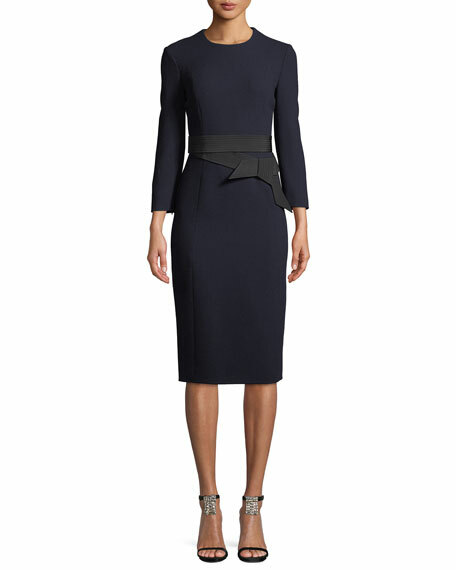 Atelier Caito for Herve Pierre wool crepe dress. Crew neckline. 3/4 sleeves. Trapunto-stitched bow belt. Sheath silhouette. Hidden back zip. Midi length. Lining, silk. Made in USA of imported materials. 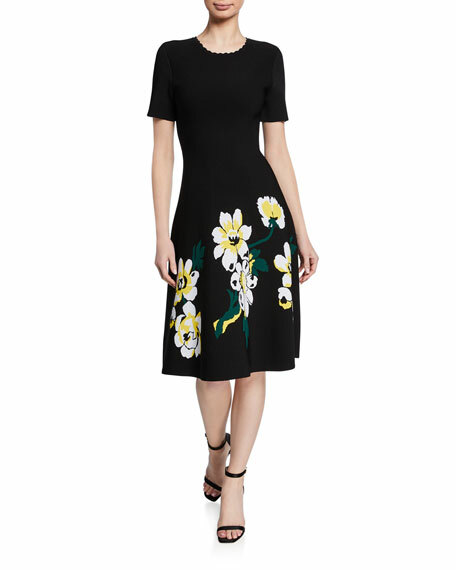 Chloe silk crepe dress with hardware trim. Mock neckline. 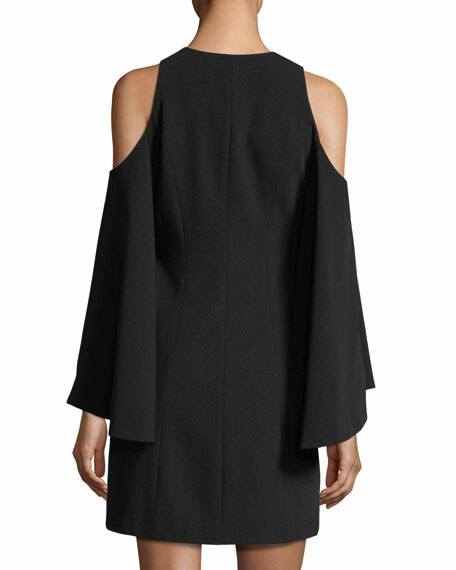 Cutout shoulders. 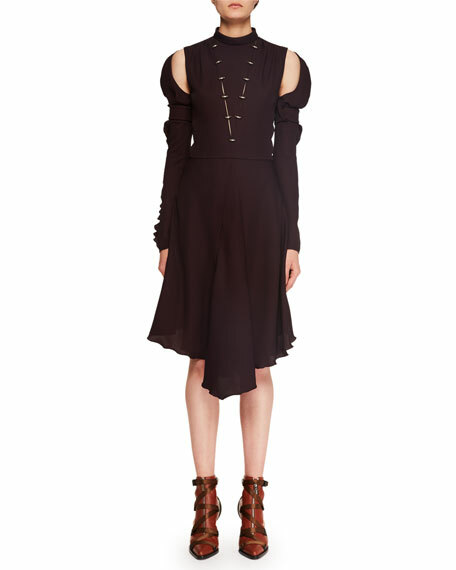 Long sleeves with ruffled detail. Nips in at waist. Flared skirt. Hidden back zip. Knee-length. Silk/viscose. Lining, silk. Made in France.